This is my Console Module. 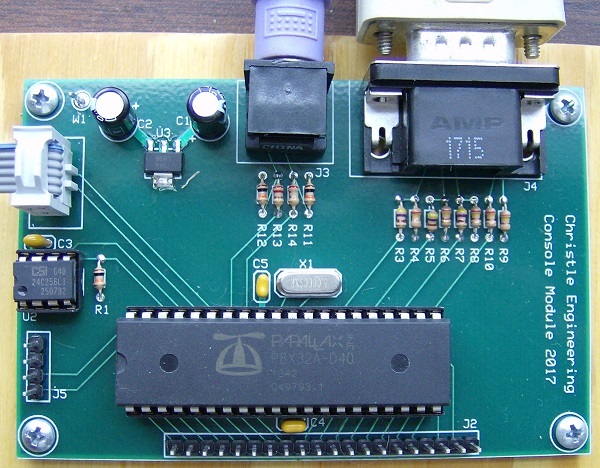 It provides a PS/2 keyboard input and a VGA video output. This allows me to attach a console to my other mini computers. It is driven by a Parallax Propeller controller. The keyboard and VGA drivers were downloaded from the Propeller Object Exchange. Check out the Schematic in PDF format.